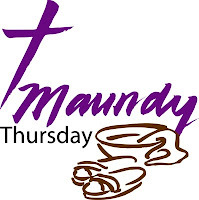 As I was driving around my neighborhood this week, I have seen signs at different churches listing Maundy Thursday night service. Now, I am aware of Good Friday and Resurrection Sunday, but this one threw me for a loop. I was too ashamed to ask anyone, because I really felt in my spirit, that this was something that I should know. As it turns out, I did know what it is. I guess the Last Supper had to be on Thursday; thus the need for Holy Thursday. Did you know? Maundy Thursday is observed by Christians on the Thursday before Easter. "Holy Thursday," as it is also commonly known, marks the Last Supper of Jesus Christ with his apostles prior to his betrayal, trial and crucifixion as portrayed in the Christian gospels. While the Palm Sunday and Easter observances of Holy Week are generally more joyful, Maundy Thursday observances take on a more solemn tone and focus on two primary rituals that are portrayed in the biblical accounts of the Last Supper. The name "Maundy Thursday" is derived from the Latin word mandatum meaning "commandment." The primary commandment of Jesus' message is found in the story of the Last Supper when Jesus humbles himself to wash the feet of his apostles prior to the traditional Passover meal. He then commands them to "Love one another as I have loved you" (John 13:34). In observance of this commandment, the act of feet-washing is often performed by clergy as part of Maundy Thursday church services. The other important Christian ritual to come out of the Last Supper story is that of the Eucharist or Holy Communion. Described in all three of the synoptic gospels and expounded upon in Paul's epistle to the Corinthians, Christians take communion to replicate Jesus' giving of bread and wine to his apostles during their final meal together. While different denominations may maintain different specific interpretations of the ritual, many incorporate a special communion into the Maundy Thursday liturgy. Despite the fact that there has been some debate over the actual dating of the Last Supper within Holy Week, the traditional identification as a Passover meal has had a strong influence on the way that many Christians mark Maundy Thursday. It is not uncommon for smaller groups or entire congregations to celebrate the occasion with a traditional Passover Seder instead of or in addition to church services and communion. The Maundy Thursday Seder has been used by many as an occasion to remember and celebrate the origins of Christianity in Judaism and the strong ties that the two religions maintain. Atlanta: Do You Know A Down-Low Brotha When You See One? Whitney Houston Was Seen LEAVING A CLUB . . . And BLOOD EVERYWHERE!! We showcase small businesses, churches, entrepreneurs, and non-profit organizations in order to help them get the word out about their company or organization - in order to raise awareness, increase profits, and boost donations! The information contained in this website is for general information purposes only. The source of the information is provided by source link and while we endeavour to keep the information up to date and correct, we make no representations or warranties of any kind, express or implied, about the completeness, accuracy, reliability, suitability or availability with respect to the website or the information, products, services, or related graphics contained on the website for any purpose. We are not claiming ownership of any of the photos or content featured on this site. If you believe that any of the material infringing upon your copyright material please feel free to send an email to pcook@tailormade101.com with the proper information and the material will be removed. Check out Jema's column: "Reflections: What I Know To Be True" at http://askjema.blogspot.com/ Jema is an author, Director of Training and Chief Operation Officer for Tailor Made Training & Consulting in Dallas, Tx. 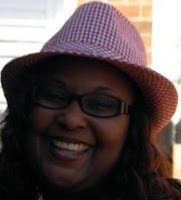 She has over 15 years of experience in Juvenile Justice.